SIE Bend Studio has no doubt taken the extra time from all of Days Gone‘s delays and used it to apply a final coat of polish to the game before its release. Whether it’s the animations for the melee combat or the little details on Deacon and Sarah’s faces when they smirk or laugh, it’s clear that the extra development time for Days Gone has not been squandered. If you take a good look back into the development of Days Gone, you will definitely notice differences in some of the game’s past aspects, compared to the more recent build. Early builds of the game contained clunky motorcycle gameplay, and there seemed to be an issue where Deacon’s melee hits would completely miss his target. Unfortunately, the practice of delivering an unfinished or buggy game, then promising that patches or paid DLC will fix the issues, is becoming far too common in modern gaming. This is not the case for SIE Bend Studio. When this latest title was delayed for the second time, Sony Worldwide Studios said, “While the studio is eager to see Days Gone in the hands of fans, Bend Studio will take the opportunity to further polish Days Gone.” It’s easy to see that Bend delivered on this promise. Yes, Days Gone has been delayed twice, but I would rather have a game be delayed twice if it means the developers use the extra time wisely to add another layer of polish to it. In the most recent build of Days Gone, the frame-rate drops significantly less, the facial animations have improved, melee hits actually land on your target, and the motorcycle gameplay looks fast, fluid, and like a hell of a lot of fun. These are just some examples of the improvements that have been made since the game was last delayed. Even elements of the story seem to have been restructured to offer players a better experience in the early hours of the game. You don’t have to look far to see that SIE Bend Studio made good use of the extra time to deliver a finished, polished product at launch, and I find it refreshing. 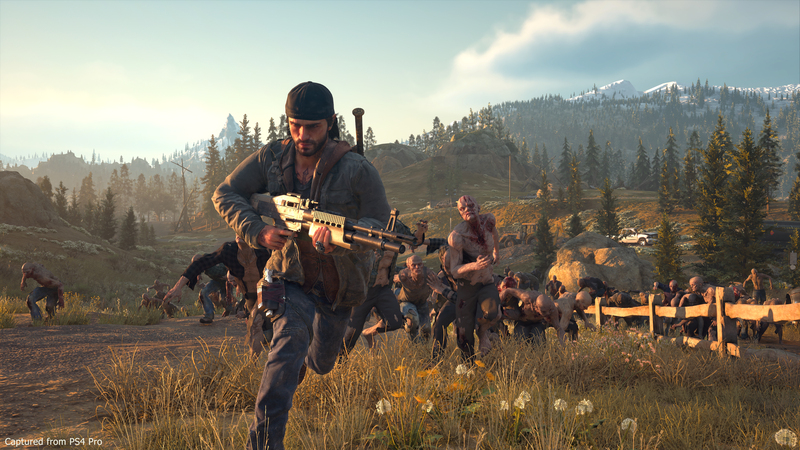 Are you excited for Days Gone’s release on April 26th, 2019? What do you feel about the game being delayed twice over the course of development? Do you think this could lead to it being a stronger and more memorable title? Let us know in the comments below!